There’s nothing quite like freshly squeezed orange juice – and not the stuff that comes out of those multi-purpose juicers. 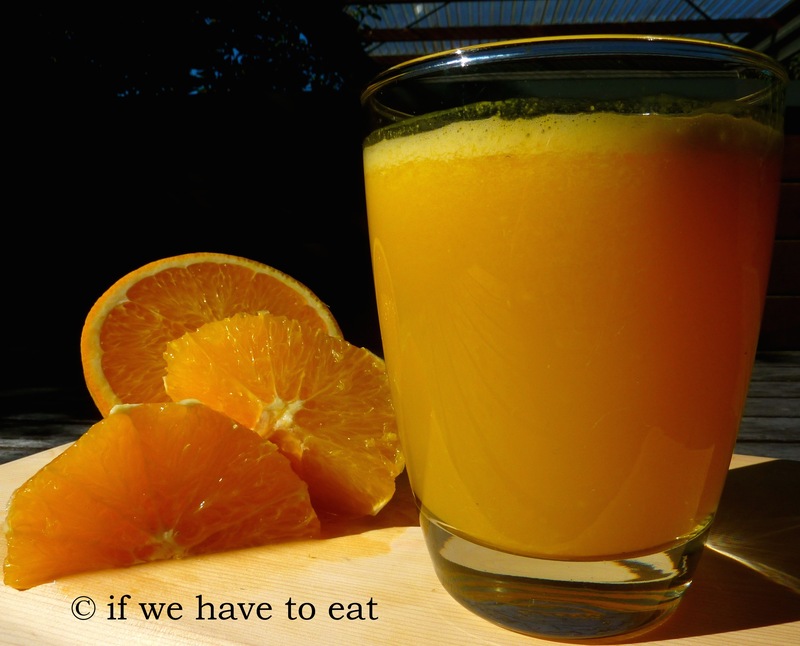 We have an orange tree in our back yard and while I don’t like oranges, I do like freshly squeezed juice – so I decided to take advantage of the free oranges and to use the Thermomix to do the juicing for me. This entry was posted on July 27, 2014 by ifwehavetoeat in Basics, Breakfast and tagged Basics, Breakfast, Easy, Fast, Juice, Recipe, Thermomix.